i want to be one of you if i grow up. never underestimate the power of a shoulder. 10. Giselle – Enchanted. This is an unofficial princess…since she also appears in real-life Amy Adams form. I love this princess because I feel like she acts how I would have as a little girl – trying to call out the window to my critter friends to help me clean out the tub and expecting all of Central Park to help me explain love through song to a cranky man. She so cute. 9. Tiana – The Princess and the Frog – Unfortunately, I can’t really speak for her personality (because that’s totally what this blog is about) but the boys agreed she was hot. She is pretty cute in her picture! I still gots to see this film. Looked funny. i want to be dressed by glitter, too! 8. 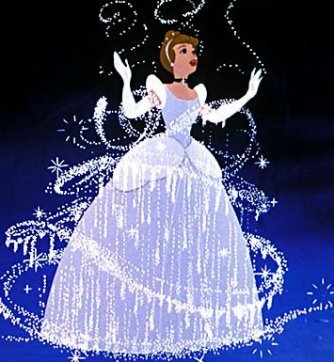 Cinderella – Cinderella This is more like your classically beautiful princess transformation. Almost every romantic comedy seems partly inspired by her story. At its heart, its kinda the wrong message – no man will see you or love you if you’re dressed casually and cleaning houses. But I think we all dream of that rescue-me-from-my-common-life scenario when we are little. I was convinced my parents only had children so that we would do their chores…so as we sit scrubbing and sweeping and singing with mice, we all imagine that some fairy godmother will sweep in, dress us in glitter, we’ll be the most beautiful at the ball, and end up with Prince Charming. I even found this awesome website that takes Disney princesses and figures out outfits you can wear based on their inspiration! Love it. Click here. 7. Pocahantas – Pocahantas This is our vote for “tribal hottie.” She can talk with animals, jump off waterfalls, canoe her way out of any problem. I think her strong personality and the way she speaks her mind is what seals the deal for me. 6. Nala – The Lion King I know she’s not really a princess. She’s a Queen. Oh, and also a Lion. But as I explored in my earlier post, I find Simba really attractive. Somehow the cartoonists have found a way to make to make these animals really cute! I totally know that if she were a human, she’d be hot. I can just tell. 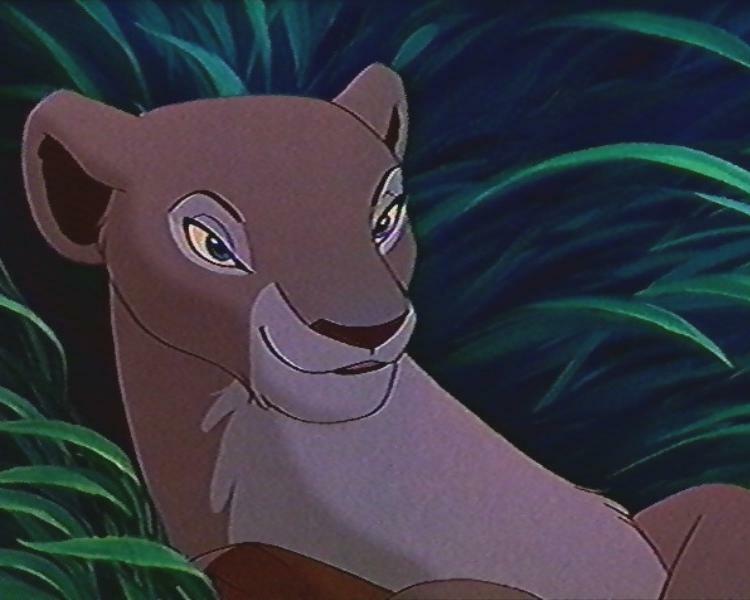 The way she got all seductive with Simba in the meadow, with the “tickle fight” that led to a big wet kiss? This isn’t this lion’s first time at the rodeo. 5. 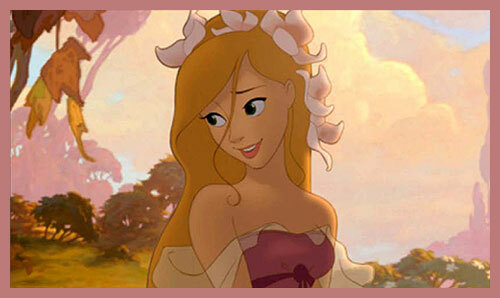 Rapunzel – Tangled – I have an entire post in mind for Rapunzel. I have a lot to say about someone whose eyes are 2/3 the size of her head. Kinda like how an ostrich has eyes bigger than its brain? But I did love this movie, and the character and her story completely redeemed Mandy Moore for me. She’s funny, brave, and definitely beautiful. 4. 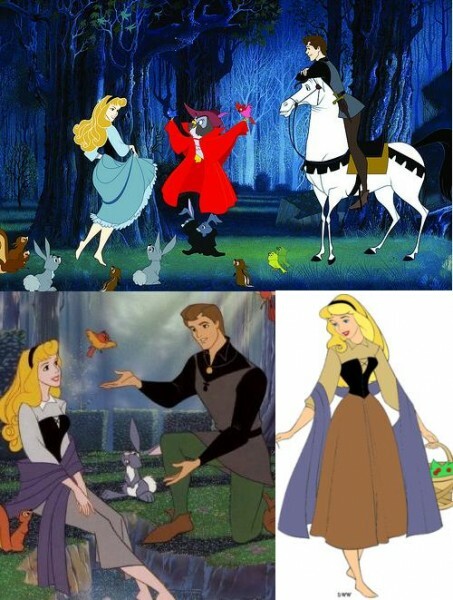 Aurora – Sleeping Beauty – When I was little, my mom said I would watch this movie on Beta tapes every single day. I wore through the film. I recently bought the DVD and have been playing it for my students during my movie club. I love that so many of them haven’t seen it, and from where I sit on my computer, facing their little faces glowing blue, turned up to the screen, I get to hear them crack up at the fairies and see the love story for the first time, singing “Once Upon a Dream.” They just don’t make movies like that anymore. The animation is fantastic. And I forgot how funny the drunk scene with the dads was. Anyway. She is another classically beautiful princess, and they apparently used Audrey Hepburn’s features as an inspiration, but then decided on blonde hair. Even as the “peasant girl,” she’s got the tiniest waist and adorable hair, playing with her own set of woodland creatures. No matter if the dress was pink OR blue, it went perfectly with her complexion and flirty eyes. Sigh. I have a girl crush on this one for sure. 3. Belle – Beauty and the Beast – “I want adventure in the great wide somewhere…I want it more than I can stand…” Belle is so freaking cute I can’t stand it. I think she’s another one that we all really want to be. Absent mother? Check. Bumbling father? Check. Odd self-sacrificing circumstances? Check. But despite her weird life, she’s happy, well-read, gets to talk to kitchen objects, and finds true love. She makes provencal life look like something I could handle. Best scene – When she and Beast are figuring out they might love each other, and he’s covered in birds. And they snowball fight. Which is oddly romantic. 2. Ariel – The Little Mermaid – Our bikini bombshell. 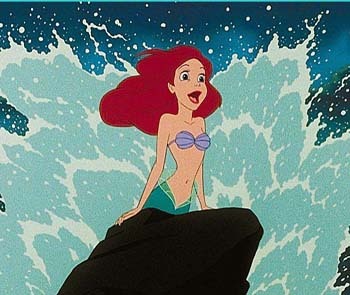 She’s got fantastic red hair, no actual clothing on (a tail and bikini top made of ocean bits? She’s naked!) can sing like an angel, and is so low-maintenence she combs her hair with a fork! Although she is a bit of a hoarder….thing-a-ma-bobs? She’s got TWENTY. That is 19 too many. But no one can deny her hotness. 1. Jasmine – Aladdin This was a no-brainer for me, because Ariel was a little immature for my taste. I don’t like it when girls over the age of 7 call their fathers “Daddy.” I only do that when I really want something, and even then it’s with irony. But I digress. The boys I polled had an intense debate between Ariel and Jasmine. We knew they’d be top two, because they wear the least amount of clothes out of all Disney girls. 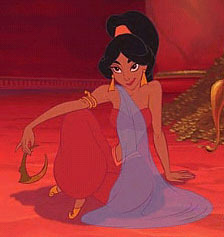 But I think the scene when Jasmine secudes Jafar to save Aladdin is wearing the dark harem girl number seals the deal for this Arabian princess. this is where he said “take off your clothes” according to Disney urban legend. She’s has a tiger for a best friend, rebellious side shown when she escapes the palace to act like a commoner, but is not afraid to assert her authority to protect the ones she is in love with at first sight. That’s attractive. 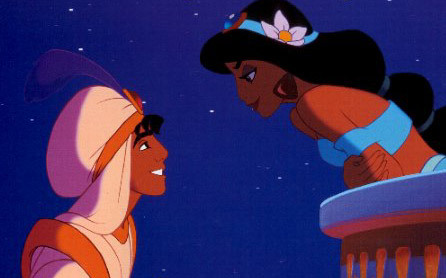 She is perhaps a little dim-witted….it took her waaaay too long to realize Aladdin was the street boy. But I appreciate that she wasn’t impressed with all the prince stuff, and really just liked him when he was being his adorable ruffian self. actually, the French feather duster from Beauty and the Beast is a pretty hot household item, too. I’m glad to see Nala in a list of Disney princesses. She often gets short shrift because she’s a lioness and not technically a princess, but she’s a strong character. And, uh, pretty hot. What song ought to I sing for my Beauty and the Beast audition?